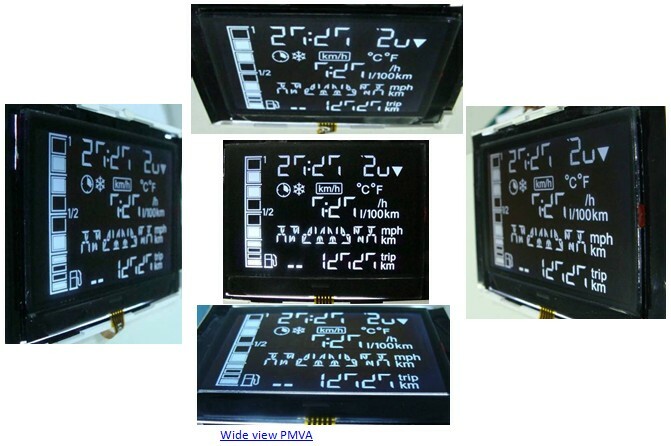 Unlike the conventional liquid crystal twisting technology for TN/STN-LCD, vertically aligned liquid crystal technology offers superior optical performance on contrast ratio and viewing angle over wide temperature range. 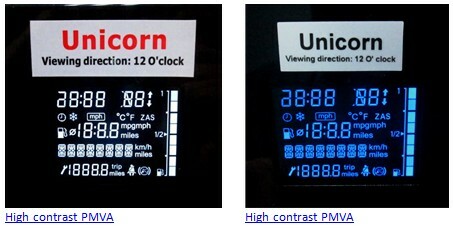 a) High contrast version offers high contrast ratio up to 2000:1.
b) Wide view version offers wide viewing angle up to 55o/55o/50o/20o (L/R/T/B) at contrast ratio 200:1, without any color shift and ghost segment when display is viewed off angle. c) High brightness version offers surface luminance up to 800cd/m2 and yet contrast ratio remains as high as 1000:1 without any bleaching on background image. 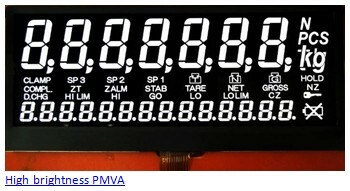 This gives another alternative for LED displays for public information display application or outdoor industrial control application. Please kindly contact our sales person if you have any enquiry.